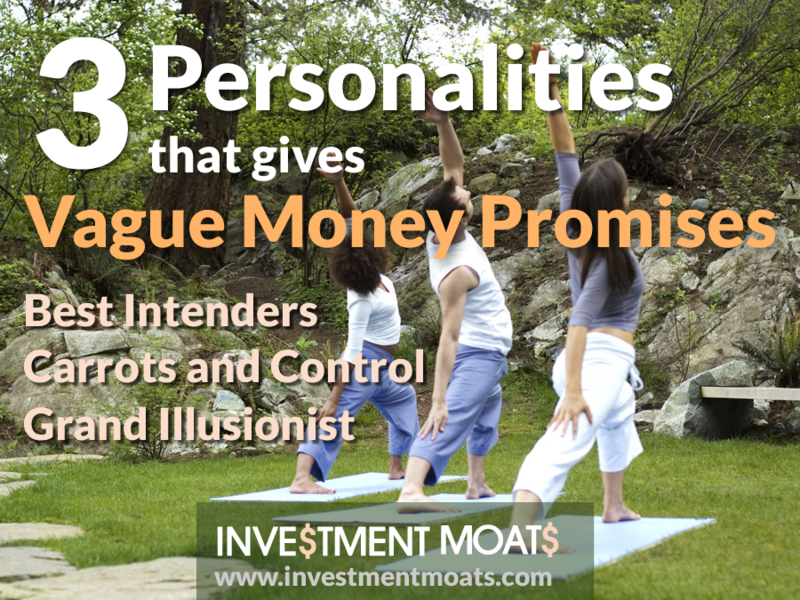 3 Personalities that give Vague Money Promises: Are you one of them? She is going to move in with her boyfriend, who in a few months, will have gotten a HDB flat on a parent-child scheme. The problem comes when it time to plan for the renovation. There is a problem. The boyfriend doesn’t earned a lot and have not build up much savings. Boyfriend’s mother insist on selecting a relative who is a contractor. The renovation would have costed $50,000. That is over the budget. June and her boyfriend tried to tell her that they don’t have the adequate amount of money. The mother tells that it is okay. Eventually things will “work out”. When the boy friend probes how things will “work out”, she just keeps reiterating don’t worry, every thing will be OK in the end. How many of you came across someone like June’s future mother in law? I am sure you have your own version. It will frustrate you to NO END. I always say, the toughest thing about money is when it doesn’t involve yourself. If you have read things on Investment Moats, and sought some changes, more or less you will reach a place that is much better. However, if it involves your boyfriend or girlfriend, your in-laws, your parents, its a whole different ball game. I came across this great article written by Andrea Kennedy, who is a wealth mentor writing at Wiser Wealth. This tend to be people who thinks you should be financially sound, the problem is, they are not very competent in money. I seen possible examples here. There are the colleagues that have rather big ego, thinks they know everything and tries to help you. 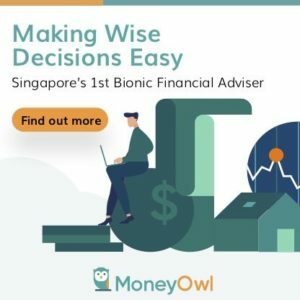 The problem is that their advises are usually very outdated, not effective, or just downright wrong because they didn’t have the wealth competency in the first place! Even if the person is not Mr or Mrs Know it All, it is still dangerous because its like the blind leading the blind. In this personality, my interpretation is of someone who is being controlled when they are held at ransom with money, or that they had money incentives to perform better. The worry is that without the incentives, their values will change. Examples of these are related to work. I can never understand why there needs a monetary reward to carry out great customer service. If there is no incentive there, does that mean you do not carry out good service? Especially if you are a professional? Another prevalent example is where parents reward their children with monetary linked incentives. Is there a likelihood the child do things for the sake of money and without that, they won’t feel the need to put in the effort at all. The grand illusionists, for me sounds the most dangerous. You may identify them as the folks who equate giving money with love and attention. They would rather celebrate the beautiful ambiance, but when it comes to money, those details are better left covered up. You may identify them as the friends and family members who comes back from holiday with great gifts, but secretly at the back of your mind, you wonder how the #$%k they are able to afford this again and again. How are they able to go for 4 holidays in a year, they must be very loaded huh. Essentially, there is much Halo Effect (google this up!) to how we look at them in that, if they give us gifts and are good workers and friends they MUST be taking care of their money very very well. This post by Andrea resonates me the most because, it is the toughest thing to tackle. For most of these cases, the person in the equation would have seen tell tale signs of not having enough money, having used excessive credit card facilities, worrying about whether they can pay the bills. Yet it is making them face up to the problem that is the hardest. I thought this is interesting in that, if you can translate the things they said to what it actually meant, there are grounds to lay hard facts. What happens a lot here is that the person have build up to SHAME. When it becomes SHAME, it is different from guilt, where guilt is more of doing something wrong and preventing you from fulfilling a better self. SHAME is the build up of guilt such that you see YOU being not good enough. Guilt creates awareness you have a problem, SHAME is when the train have left too far that you feel it is difficult to come back any more. I felt that SHAME is difficult to navigate, and in some ways, the hard quantitative facts have to be presented in a manner as irrefutable proofs. Actions need to be carried out not more education. Andrea provides some ways to deal with it, and I urge you guys to go and read her article. What is a Wealth Psychology issue, is not affecting only your wealth. You can see the same denial, guilt, shame when it comes to wellness, improving health, careers and family communication. There is a higher level of core competency that if you develop successfully, you can solve the problem of debts, wealth but also wellness and family problems. How do you guys and gals do it? Were you at the receiving end of such Grand Illusionists and Good Intenders before? What happen there? Do share with us!